Tom Pappas returned to the USA Track & Field Championships winning his fourth national decathlon title. He has spent the past two years on the shelf with a broken foot and multiple shoulder problems. Pappas, whose decathlon personal best is 8784 points, finished with 8319 points (10,88 - 7.47 - 16.53 - 1.96 - 48,68 - 14,32 - 49.78 - 5.10 - 55.68 - 4.59,50). And he benefited from Bryan Clay's no-height in the pole vault. 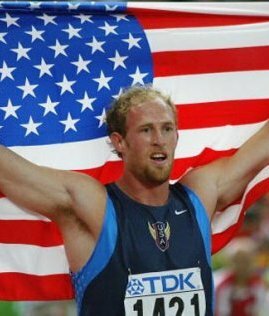 Clay, the reigning world champion, was leading the competition after seven events before running through three attempts at the opening height in the pole vault.